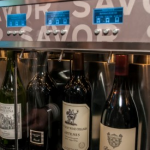 As recent research highlights the increasing importance of expanded wine by-the-glass programs, WineEmotion commercial wine dispensers are playing an integral role in on-premise food and beverage programs across the United States. Introduced to the U.S. market in January 2013, WineEmotion Series 3 systems enable operators to up sell customers to an expanded range of premium wines by the glass with patented preservation technology that maintains open bottles for 30 days without risk of spoilage. 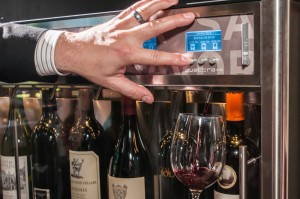 At McCaw Hall in Seattle, WA, SAVOR… Catering began utilizing WineEmotion dispensing systems on August 1 as part of their commitment to quality and efficiency in event-based fine dining concepts. As a 188 seat full-service food and beverage concept at McCaw Hall, Prelude by SAVOR… collaborates with the Pacific Northwest Ballet and the Seattle Opera where Executive Chef Shawn Applin serves seasonal Northwest cuisine focused on fresh, local ingredients. To curate a wine program matching the standards set in the kitchen, with time-conscious patrons in mind, WineEmotion automated systems maximize serving efficiency while giving Chef Applin the freedom to build a diverse by the glass program around his tasting menus. Offering theater guests a selection of 26 wines by the glass, WineEmotion Quattro+4 models [8 bottle, dual temperature] situated in multiple locations facilitate efficient service to 250 to 350 guests within a two hour time window before each performance. 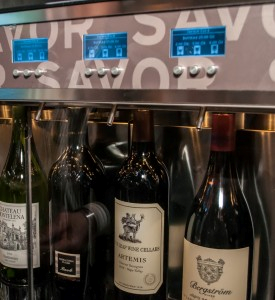 Configured for behind the bar use, each wine dispenser at McCaw Hall features 3 pouring selection buttons, programmable to virtually any pouring denomination to efficiently and accurately pour half (3oz) and full-glass (6oz) portions. Designed for commercial grade applications, staff at SAVOR… quickly change out bottles in high-traffic situations by automatically lowering and raising the bottle mounting pistons, adjustable to the height of any bottle size from splits (175ml) to magnums (1500 ml). In addition to the efficiency advantages WineEmotion contributes to SAVOR…’s wine program, the customer experience offered to guests is unique in a fast-paced event environment. Operators of event-based beverage programs are often challenged to offer expanded wine by the glass programs due to the length of time between events when wine can spoil. Featuring patented ISOL-PLUS™ Total Isolation Technology, WineEmotion is the only wine machine of its kind that preserves each bottle in its own isolated environment to avoid aromatic cross-contamination. 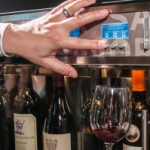 Preserving each open bottle for 30 days with argon gas pressurization, WineEmotion systems provide guests an enhanced selection of premium wine without having to commit to a 750ml bottle before show time. WineEmotion Series 3 systems feature optional customised display panels.